All Fiber-Products available on this Site are built from high-End Epoxy Resin .You won't find Products built with cheep Polyester here . 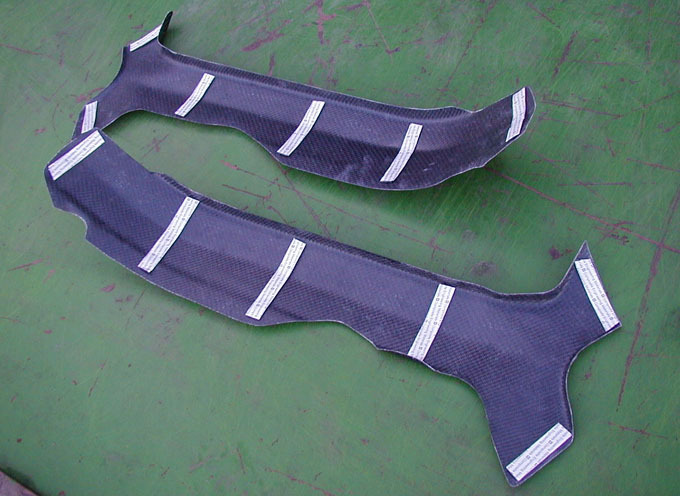 Airbox , Fueltankdummy , Fueltank , Seat , Carbon Subframe build a rocket , keep the RC competitive ! 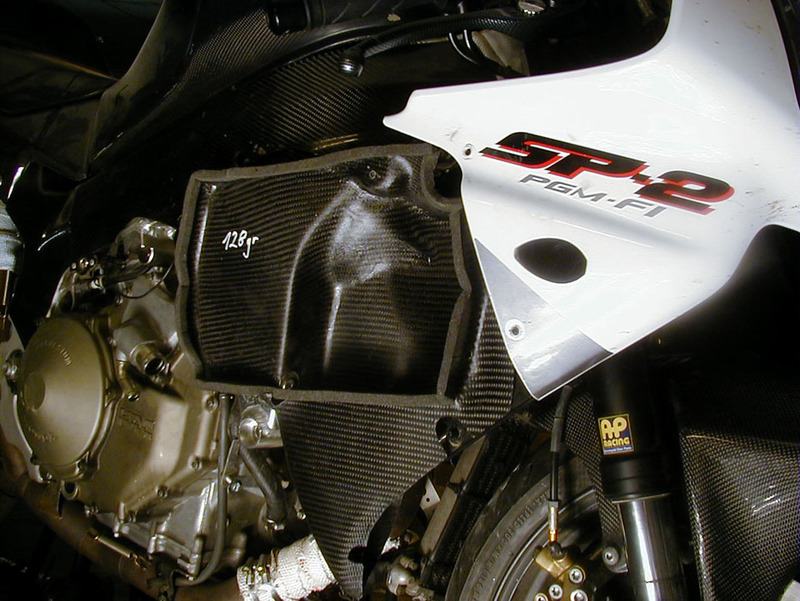 Aluminum-Clutchplates for SP1/2 ! get rid of your steel-Plates , shave 66% rotating mass !! 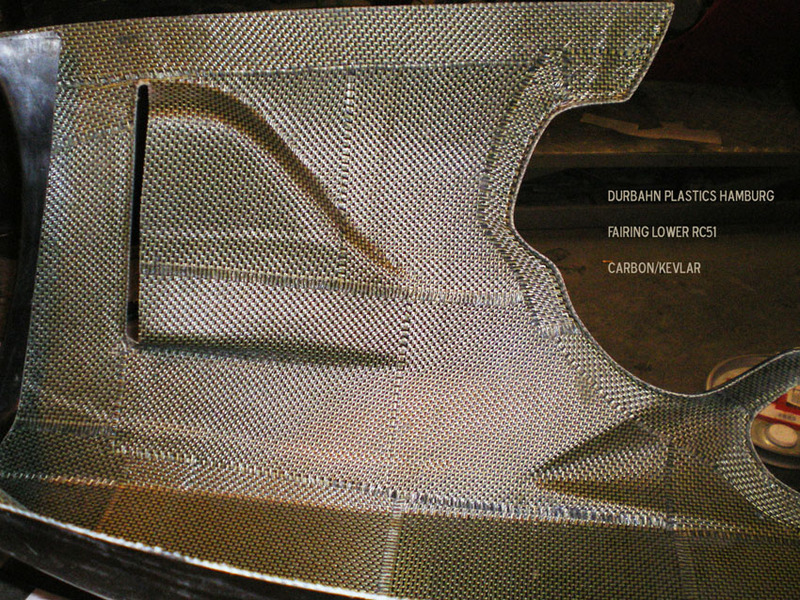 Carbon WSBK Edwards Tailsection ... it's Tailsection AND Subframe in one !! 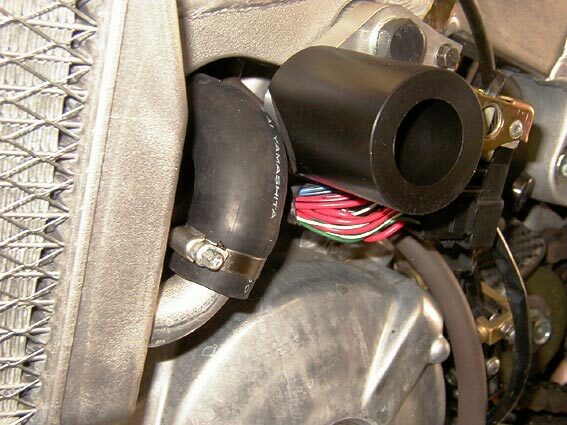 CARBON Battery -(+Starter-Relais) Bracket ....top 3 of most recommendable Mods !!!! 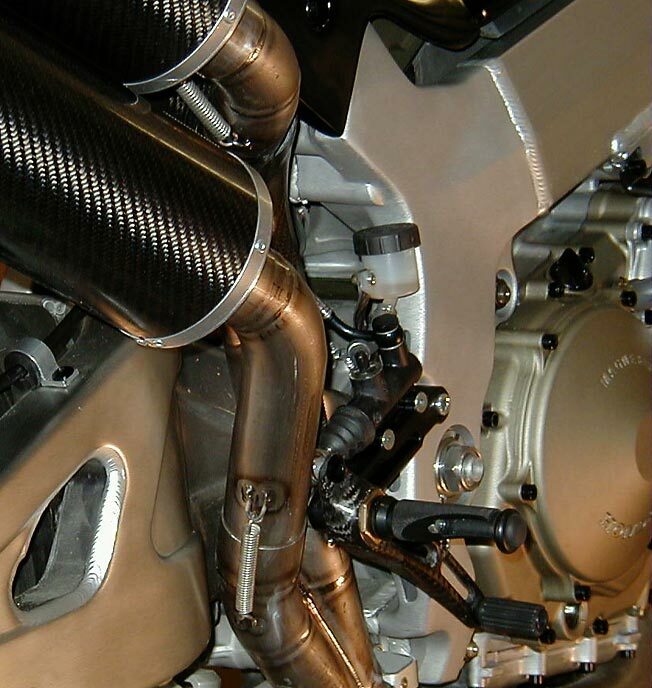 Carbon_Exhaust_Hangers_extreme 55gr. (0.12 lbs )each , and you're not able to break them ! 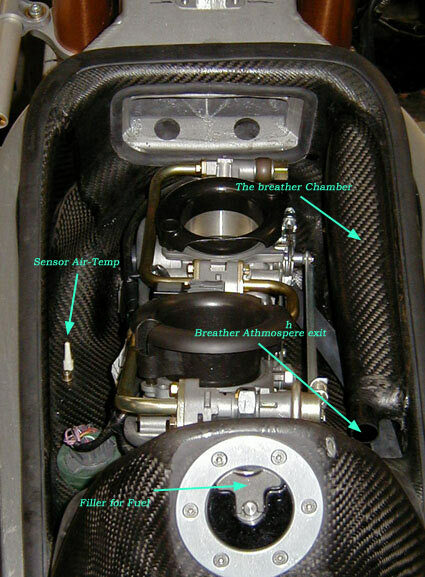 Fueltank(-dummy)-Airbox,Subframe-Tailsection-Assy .......................build a rocket . 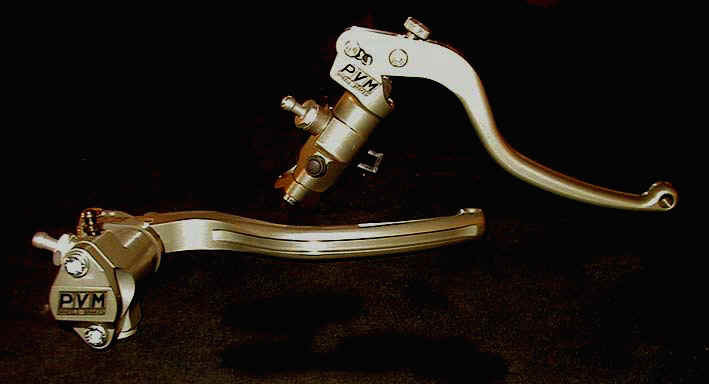 PVM-PARTS....5 or 10 Spoke Wheels,Rotors,Calipers...I try to make the best price ! 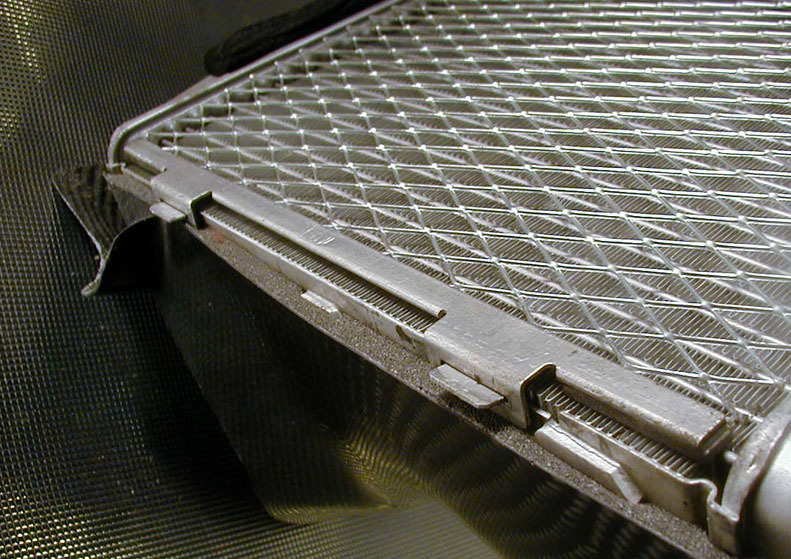 Radiator Air-Scoops the Maximum of cooling for your OEM-Radiators ! Radial Brakemaster ISR ...continiously adjustable stroke ! .........your Option,to reach less than 400 lbs full of Fuel ! means i've reduced the weight somewhat 66 % ,only 1/3 of std. weight remains !!!!!! 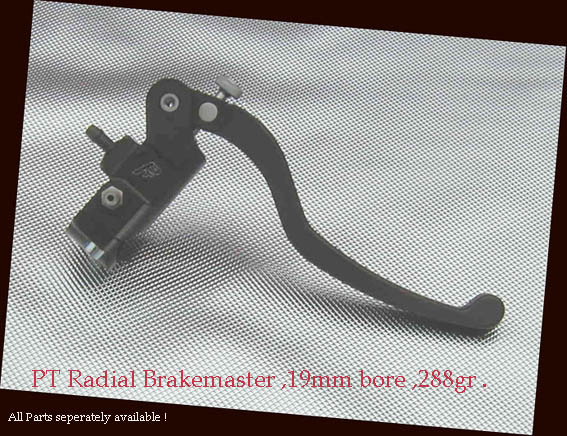 This rearbrake assy fits to every SP2-3 or RC51 2002/3,useable with orign. 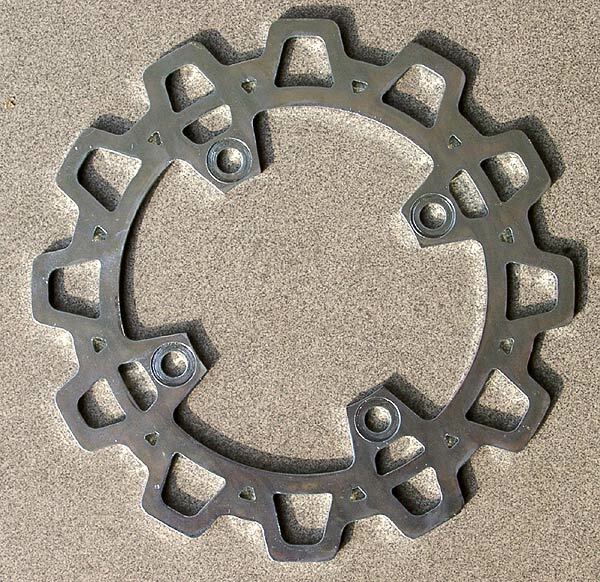 Brakedisc ! 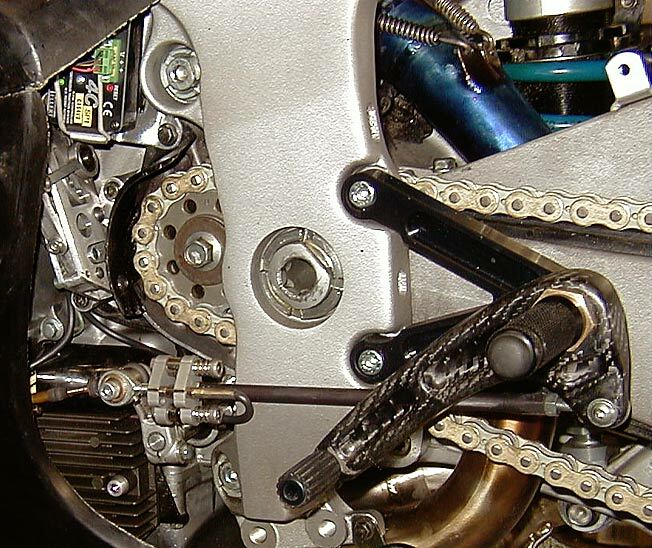 THE NEW EVO (Type II) CABLE CLUTCH CONVERSION !! 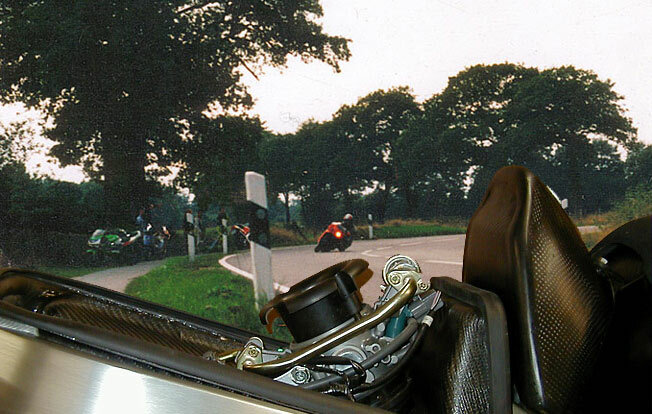 ".....cable clutch is the best,coming out of hairpins so much feel,HRC should talk to you!" The antifreeze -reservoir Q,i always forget this strange Item,because-as i've typed it somewhere-it is probably in the way reg. the cable,so if,please use a not so a large Canister as reservoir,or much better,simple get rid of it.You'll remark all works also without it.Since i ride Motorcycles (17 years)i've removed this Item immediately when i bought a Bike. A logical-Q:when do you need most water-content ? When you've got hottest Temp,but then the Water-Can is at max.When you need no Water?When the Bike is in your Garage-but then you've got lowest water-level inside water-Can. Choose the colour of each Part of the mechanism,i'll built each clutch especially for each Person then,you can choose black,blue ,silver,red,purple,gold,green.The whole cable clutch-Kit will content a Carbon-drivesprocket-cover,an alloy/adjustable hard metal head pressure rod,2 cpl.clutch-levers,high-Quality Cable with PTFE duct inside.All CNC milled,turned and anodized. 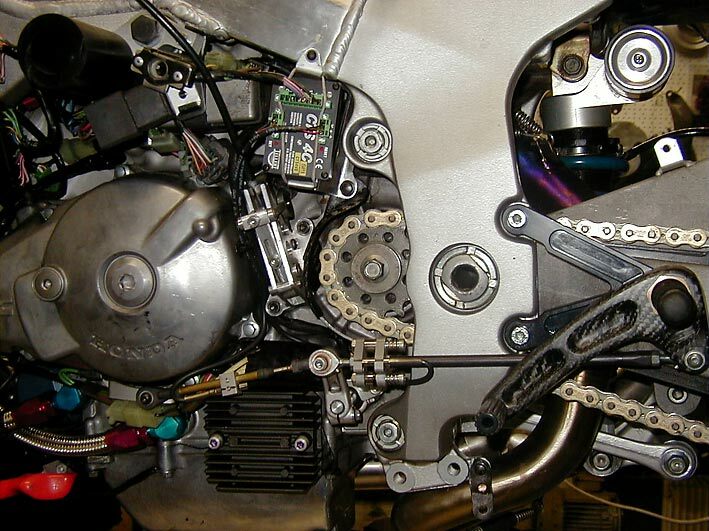 These steamgun-machines i've developed especially for RC51.Don't know yet where else they may fit.This cable Clutch conversion is a straight further stage related to the conditions of RC51. I.E. they won't fit for RC30,just to explain I've been regardless during the conception of this mechanism.It has never been of concern for me if it'll fit for other Bikes,that's what I've to detect next months or years.To all RC51 Customers,who've got my previous cable Clutch System and want to go for this one,i'll make a very good offer for a re-convert (or rebuilt) Kit,because this new Cable Clutch is based 60% on the previous linkage,but different location of the Parts.Well,caused by some more moving and turning Parts it's 23 gr heavier than the former one,180 gr instead of 157gr-or round about 0.39735 lbs total weight,even if I attempted to make Swiss cheese out of it.The weight increase is not the only disadvantage, the charge of somewhat 90$ vs. the previous one probably also. But you should know, this mechanism now has 3 Times needle-bearings (pure MOS2 - grease inside) with 6 Times special PTFE-sealings + 2 Times double side sealed (ball-) bearings and a cara-metallic pressure-rod duct. I've compared at same de-clutch stroke like std. Hydraulic your at -40% less force you need, because the rest of your force will be eliminated at the hydraulic sealings.But apart from that the stroke is too high anyway, that's why (same as the other cable clutch concept) these mechanisms have an adjustable stroke .So combined: less hand-force you've to use basically + a 10-20 % decreased stroke will give only half of the hand force you need at present !It's very difficult to explain the possibilities of this conversion, and by what measurements you get this or that effex.But I found out a good working basic adjustment, which I'll pre-adjust at delivery, and this will work very good from the beginning.....ahem,yes that's what I forgot, and that's the main thing maybe: customers criticized the previous cable clutch can be damaged at a crash, that's what I've seen on my Bike also, and whole summer I've carried around ideas of other concept's with me which cannot be damaged at a crash, the only Q was if I'd ever find or can steal some Time to realize one of my ideas. I've stolen the Time, and-as I've typed, I've hammered and sawed the first raw working prototype in 2 days.So-i never expected to finish this little project so fast, but seems now it's done. If you want to order you'll be able now to choose the color of each Part of the mechanism, I'll built each clutch especially for each Person then, you can choose black, blue ,silver,red,purple,gold,green.The whole cable clutch-Kit will content a Carbon-drivesprocket-cover,an alloy/adjustable hard metal head pressure rod,2 cpl.clutch-levers,high-Quality Cable with PTFE duct inside. All CNC milled,turned and anodized. I can give a lifelong guarantee on this very dirt or dust insensitive concept,it's a steamgun-machine,combined with precision. 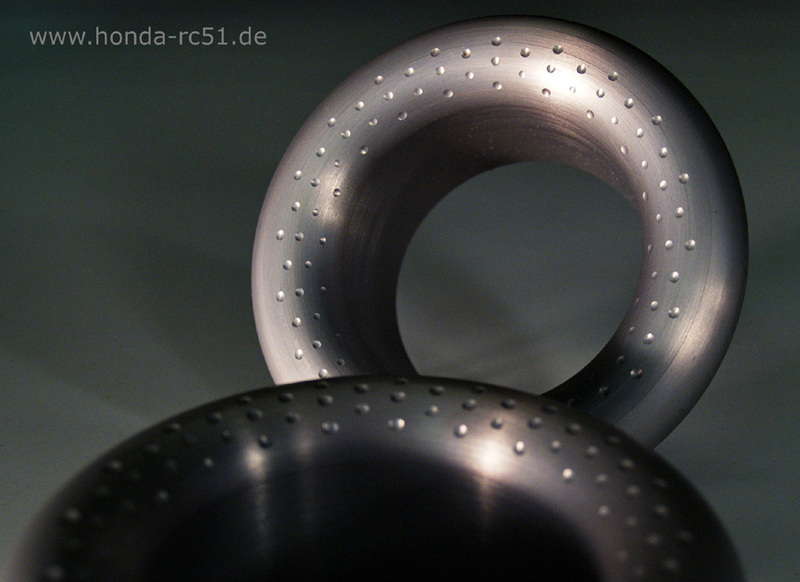 A buddy of mine made some Funnels for RC51 , from Aluminum - Art of work , similar to HRC . 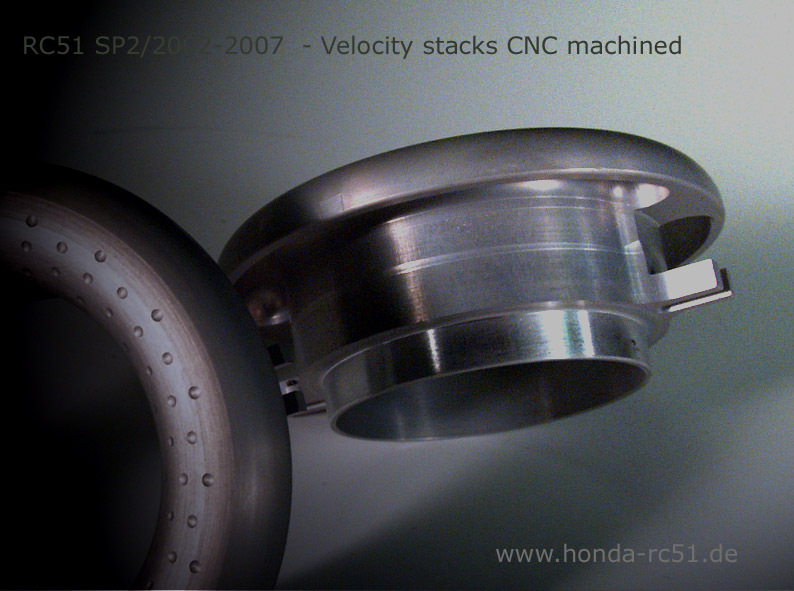 CNC-machined and anodized ,with gulf-ball milling like the Factory - Bikes !! NEW: now on special request available with FAN ! NEW:now also available powder-coated many colours ! 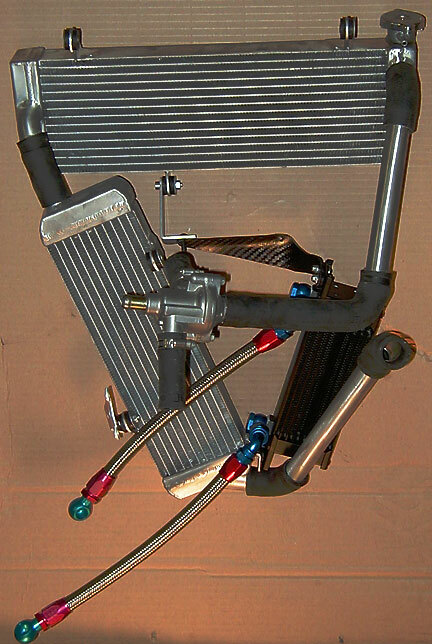 This is status quo now: I've developed a Oilcooler-upper Carbon-Bracket,fixed on Cylinder-head,lower Oilcooler spot to fix is either on lower Radiator or Oilpan (I decide that depending on which Exhaust is used ) .Upper Radiator Spots to fix: at Frame and Cylinder-Head,vertically Radiator fits to orign.02/03 Oilcooler-Bracket (which is mounted at Alternator-Cover). The orign. Thermostat housing you're able to use,just have to turn it 180°,even fits with my Airbox ! -25 °C. On track where I've been able to compare the Temps directly the side mount Rads went up to a max. 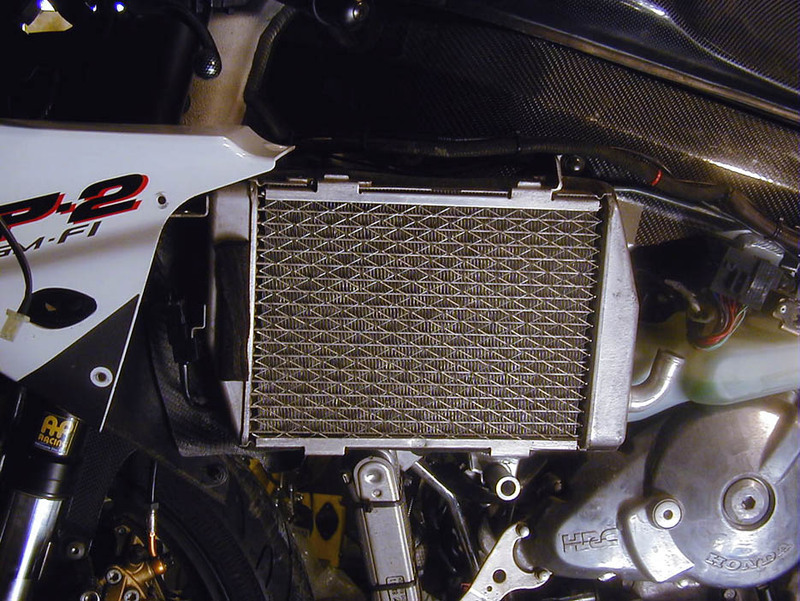 of 116°C,where I've been with the front mount Radiators at 76°C.Means you'll be able with these Rads to keep your valuable maybe 135 hp,and not to loose 10-15hp by overheatened Engine Temps. 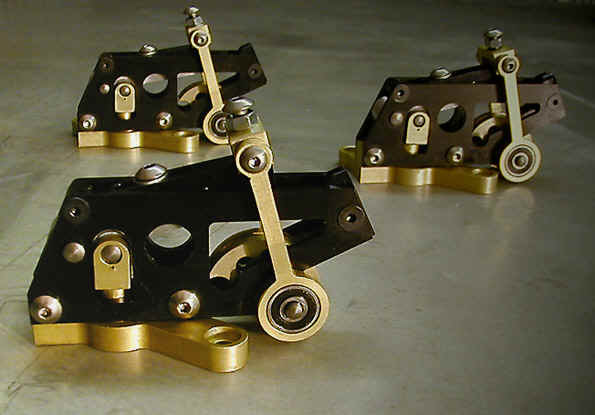 NEW III: calculate,if we swap the wire-harness: a wiremod road-useable is at 900 $,for track 700 $,the brackets at the moment you've to fab yourself. As i've typed somewhere,the wiremod is the base-as I see it- for ALL lightweight concepts.Once you've removed ALL the stuff inside your back your free to locate Can(s) below your Tailsection,you can cut your std. 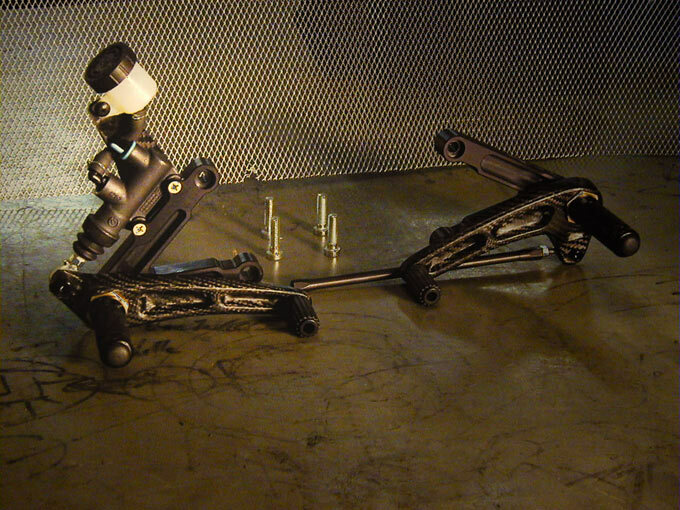 Subframe as you like it,or go for my Carbon-Subframe.But most important and dramatically effex is the weight loose + lowering the centre of Gravity and relocating the mass deeper and more to front. I've heard a lot good things about these Pistons past 2 years ,from customers and Racing-Teams which have used them and still use them without any Problems reg. 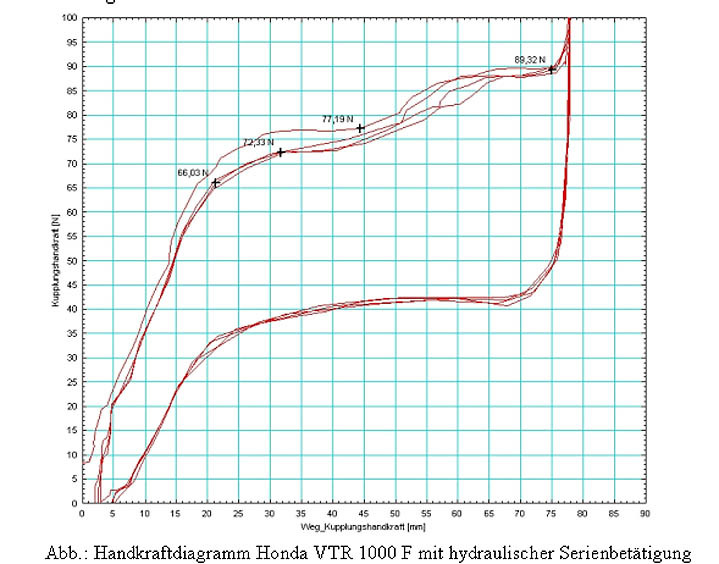 reliability and with great success concerning Hp increase and not burning Oil after a short Time as HRC. I've put them on the scale: 1st: they are very balanced,I've measured only 1/10 gr imbalance (thats 0.0002207 lbs) and they are very light ,as I've measured 385 gr compared to 423 gr std.,without piston -Bolt. Because the Bolt is much smaller I think It's another 20 gr less,so saves up to 60 gr,that's double of weight saving of HRC. They come with piston-rings,piston-Bolt and clips.The Piston-surface shape and compression-ratio is identically to HRC,but the Price is much less at same Quality at least. 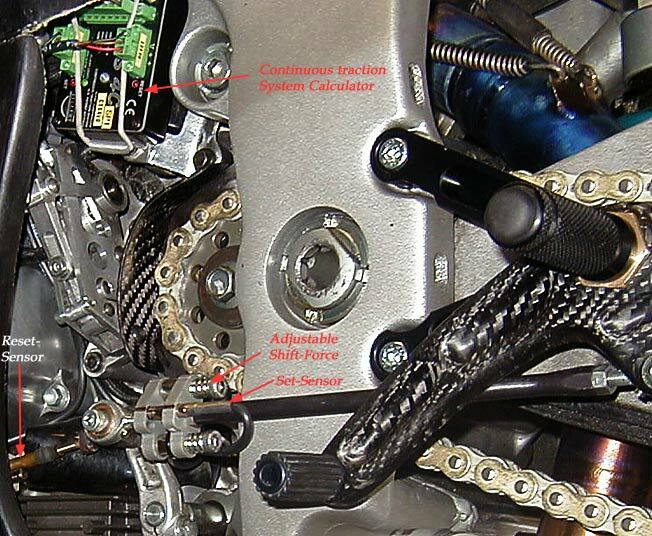 The latest CTS Quickshifter Generation, rev.controlled,especially modified for RC51 Rev.-Signal. 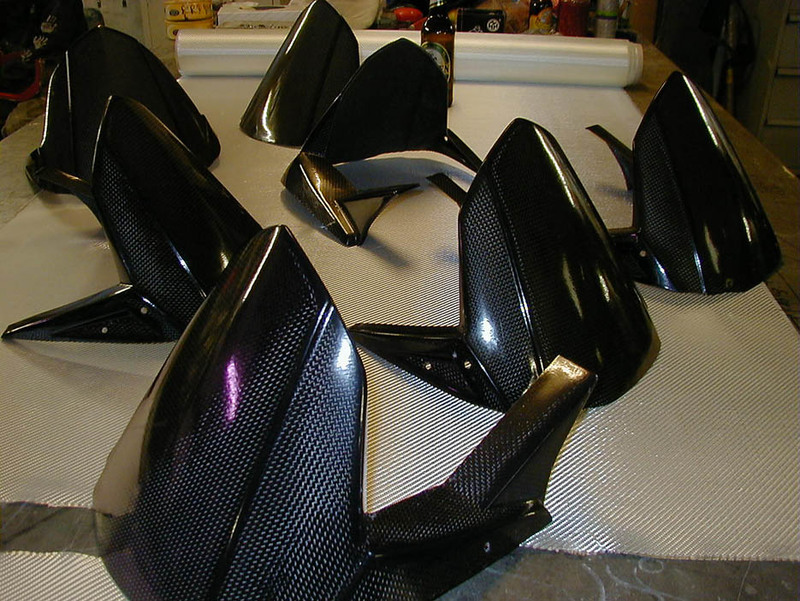 A buddy of mine has shaped some nice filigree Carbon Exhaust Hangers here in the Workshop , made from 16 layers Carbon . They weight 55 gr each , you're not able to crack them with the Power of your Hands , even they do not look so . 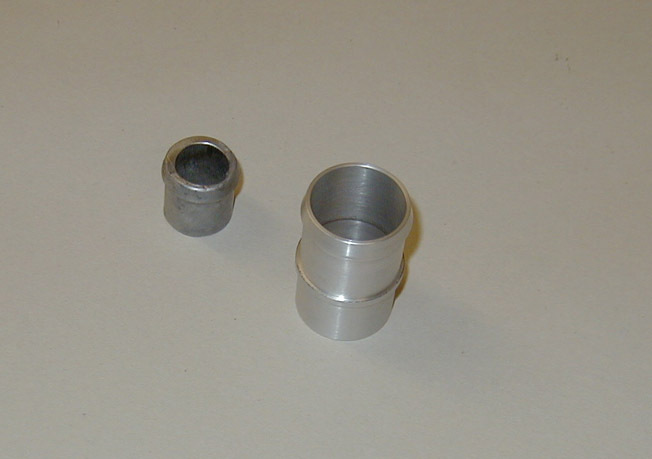 Designed for OEM mounting spots and OEM height of Cans . 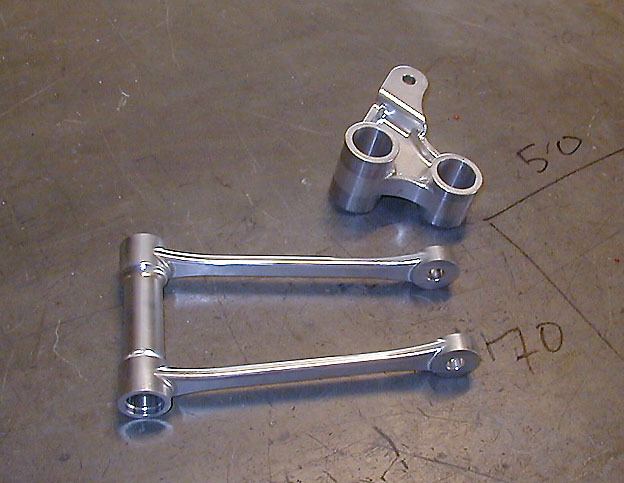 This rearsets include a lot of expensive high-precision ball-bearings , a brembo-Master , lots of Carbon into the levers , lot of Time for assembly . 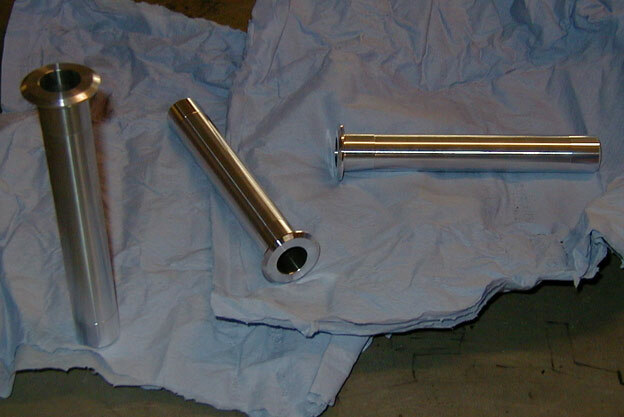 Or to lighten your existing sleeve,which is made from steel. Pressurize your Radiators with cool Air ! Learned that from my 999 Vx-Project. Designed to fit at every RC51 . At the Modelwork I've paid attention that those Ducts even fit with Fans ! A btw. 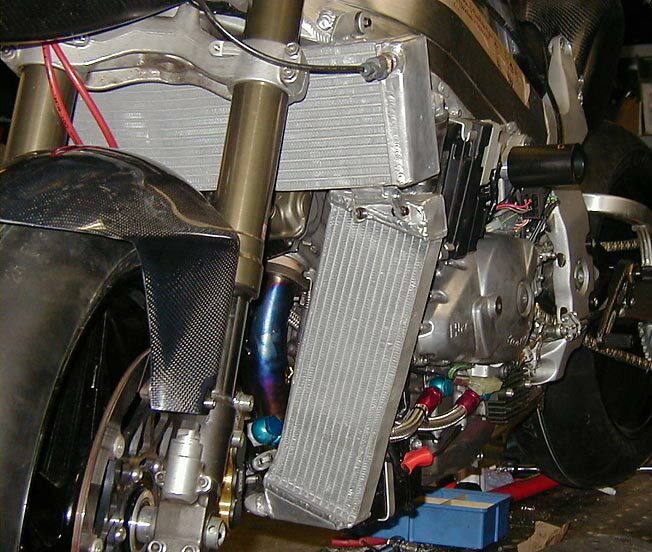 Advantage: with Engine running but Bike stands still there's no heat-exchange from Engine/Frame/Headers to Radiator . 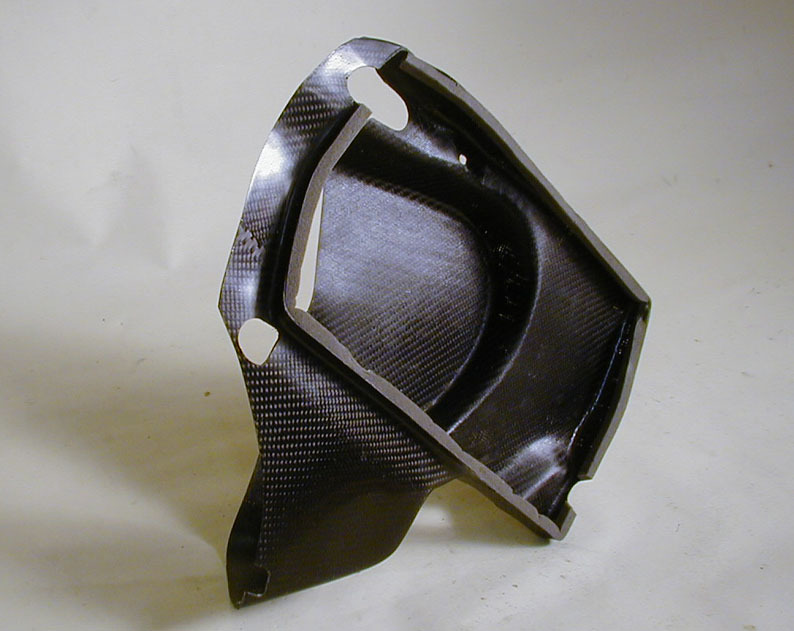 The Maximum for your Bike !Available now , Carbon or Glass ,Weight : 230 gr (1/2 lbs) for both ducts . 2. the good feeling, that no heat can reach the Rads while you stand still . 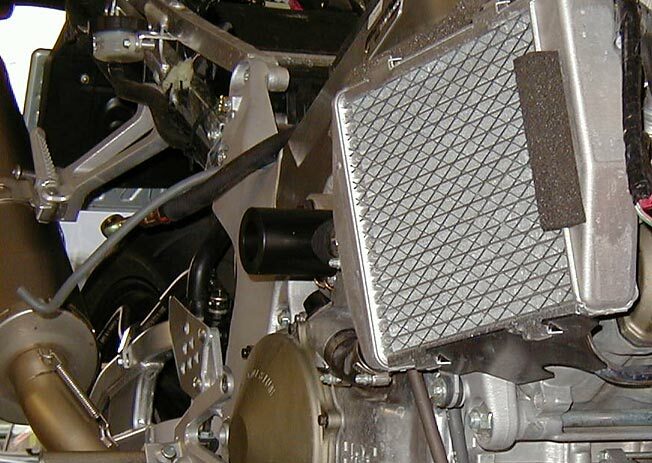 6: more Horsepower, considered from the point, that you do not loose HP through unnecessary heat . 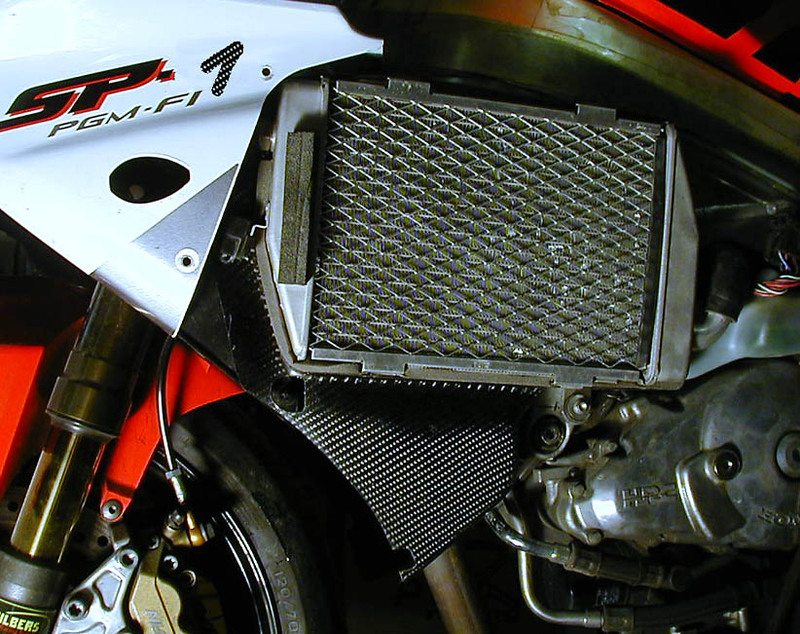 The Maximum you can do to your Rads......to your Bike....to you. I have now first results from my friends , who have been somewhere deep down in spain on atrack somewhere fo a couple of days .One of the guys drove my front-mount rad setup, the other one the scoops mounted . When I asked for average temps it came out, when the front mount Rads have been at 75° ,the guy with the scoops ran at 81° , so very close . 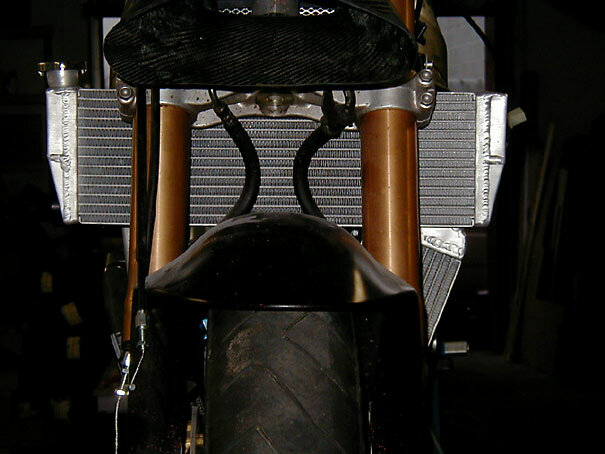 Very important , the guy with the scoops also mounted my HRC-Copy fairing, but he has missed to isolate the Rads to the Fairing (OEM has some kind of Foam on the fairing-inside, and some on the Rad itself) . This Isolation is really useful too, and I'd assume that this would give another minus 2-4° . Installed a set on my 05 RC, the fit was very good a small amount of trimming on the right front to get the fairing to fit ( used tin snips ).The hardest part was getting the stock hoses of the radiators. I also reversed rotation of the fans at the same time. After a month of riding I am very pleased with them. Temps have ranged from 50 degrees to 80 degrees the bike never got over 176 in normal running 50-65 MPH.At long lights it took a little longer for the temps. to climb and as soon as we moved they went down much quicker.I really reccomend this mod. for the street it was worth the work." "Yes I agree with everyone regarding these scoops. Really helps the ole girl out with temps. The rads need to be drained to run the hoses thru the scoops. 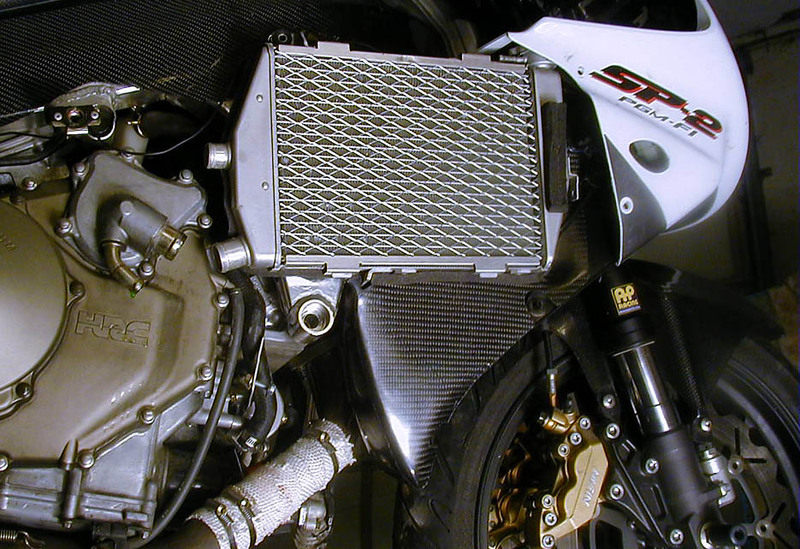 The rads are fully isolated from the engine bay now and air is sucked from front of bike now. Temps drop real fast now, I never see over 175-180 while moving.I just threw them in over the winter. I havent been using them in 90s yet but will be soon. We had a few 70+ days so far and noticed the temps drop faster with the scoops. You can also feel the hot air blowing out while at a stand still ". 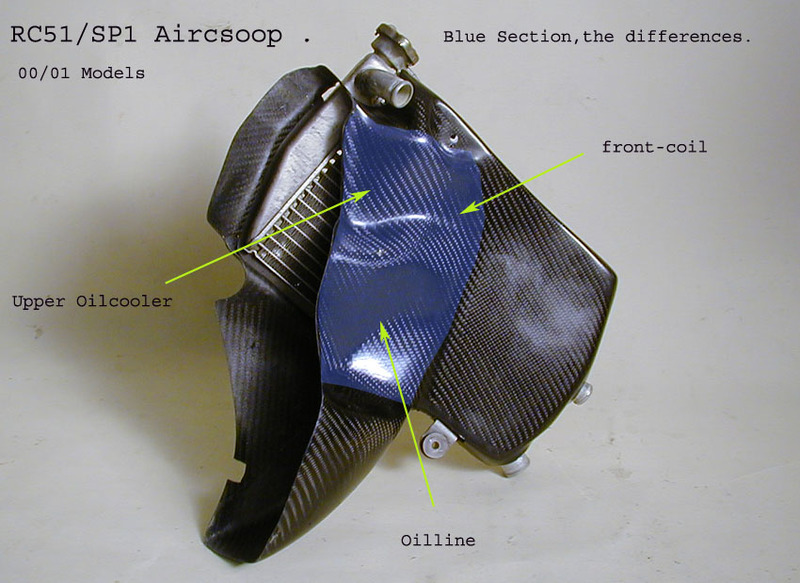 May 26/2007 - Airscoops efficiency , Water cooling / logged results . He sent me his logging file , and what you can see from there is , that the Airscoops have a extreme efficiency . It was really hot outside (33°C- 35°C ) , and Ralf really made throttle as he could . The temps of the Water ( measured at the OEM spot , where the hot water leaves the Engine ! ) therefore have been real low -check the Picture . 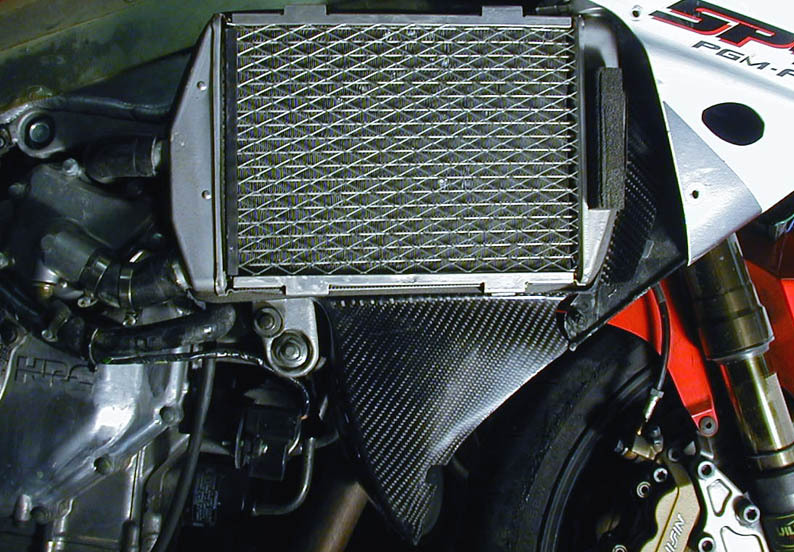 Note : 20-25 °C less temps at this level is meaning noticeable more horsepower , because nearly all ECU's try to preserve the Engine from a damage at high temps by reducing the Power . 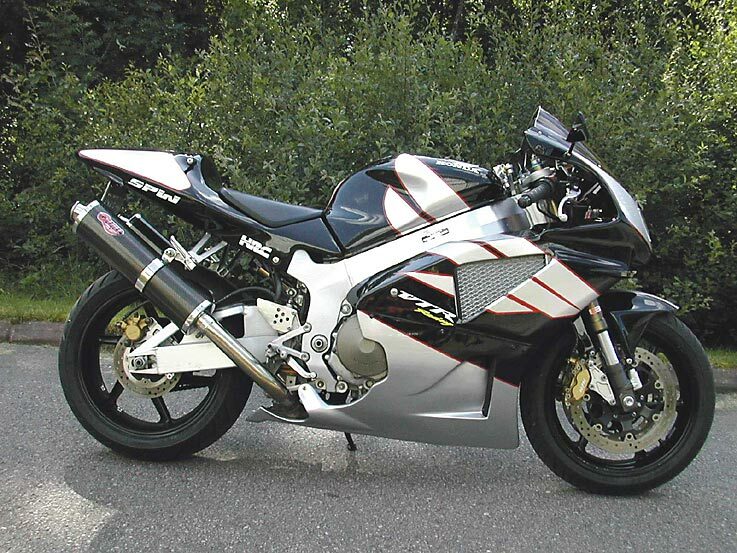 For 2000/01 and 2002 to 2006 RC51 , the best Protektors on Market. 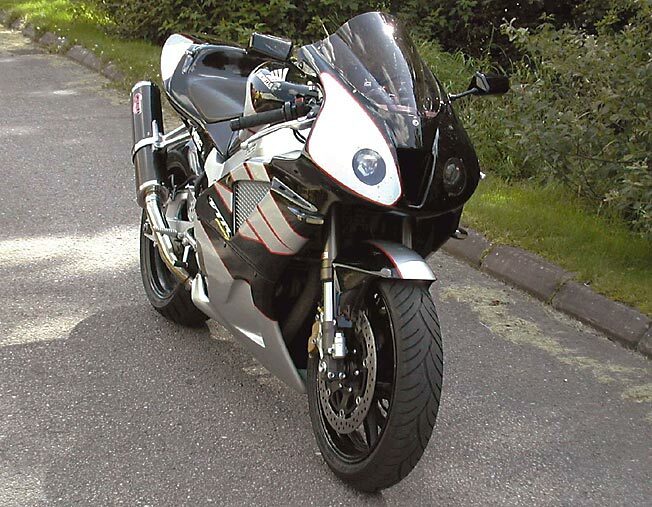 The 00/01 RC51 Frame is slightly different , compared to later RC's , so please let me know year of Produktion of your Bike . Available for 00/01/02/03/04/05/06  RC51- Models. Was a mistake not to offer them here inside the english Section of the Products List , so here they are now, for all european or non-US customers ( in US you can order directly at Hyperplates) . 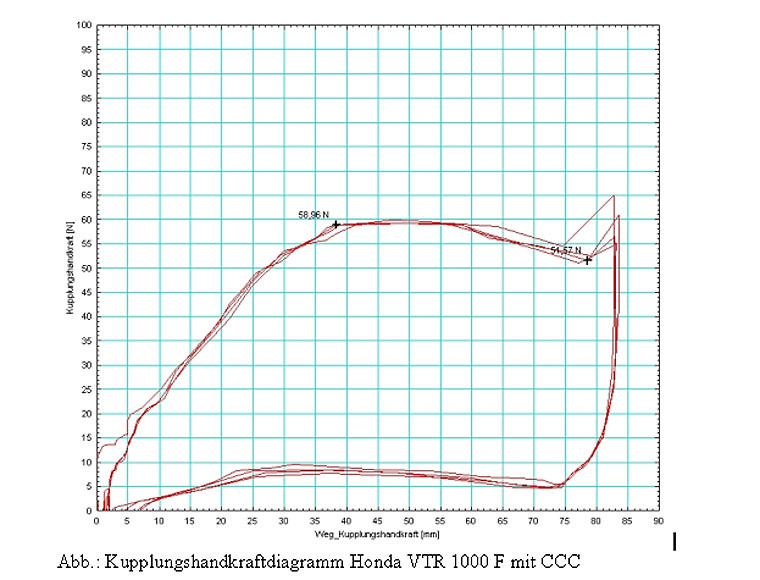 Inside top 10 of "the bangs for the buck " ,because decreasing rotating mass has most effex of all kinds of weight-savings . 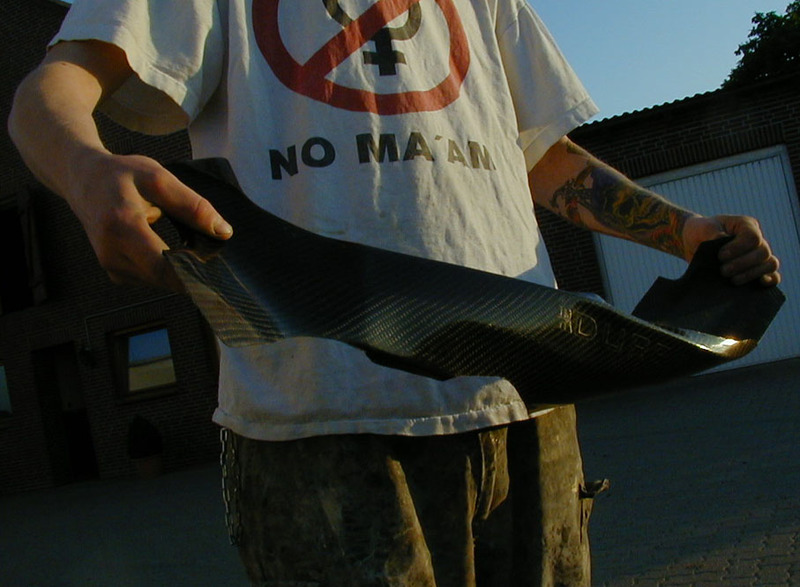 2 lbs or close to 500 gr you get rid of , better accelaration and handling guarantee ! The lighter the Bike is , the more you'll feel this mod . 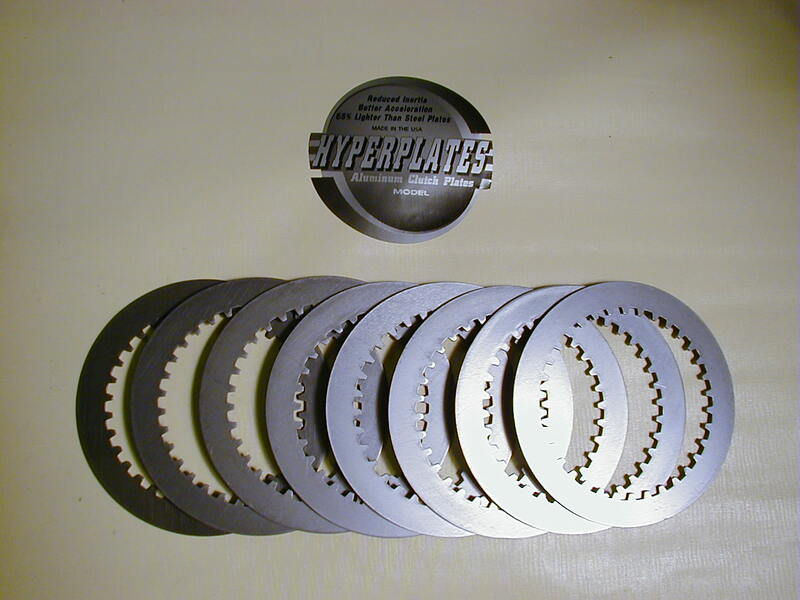 Those Plates have been used here in championchip with a CBR1000rr the whole Racing-season without wear , and on my own RC51 I've got those Aluminum Plates installed now for a couple of years without need of exchange.Easy swap,estimated 20 minutes Maximum , no drain of Engine-oil necessary . 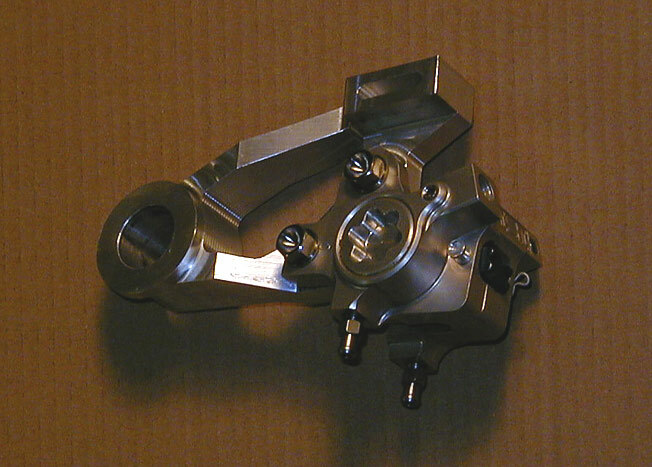 re-designed and modeled to fit for stock RC51-fits to stock mounting spots,stock exhaust and is designed for side stand and so on,a 20 seconds bolt on Solution.Btw: you can keep your std. Airsnorkel ,you get rid of the expensive std headlight and weight,you can easily repair it yourself-if you want,you can get a repair-Kit with it. 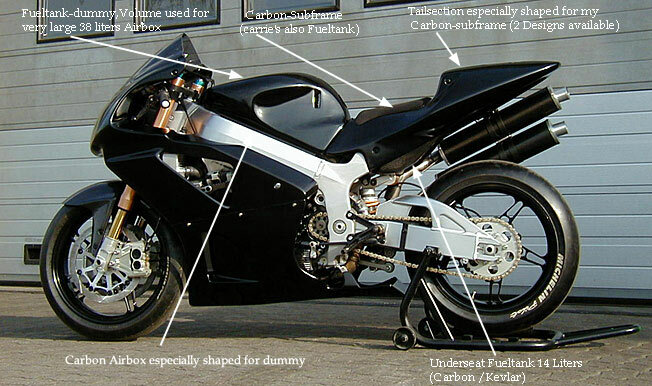 What I wanted to tell all the Time:this fairing has 3 different sources:the best features of std. 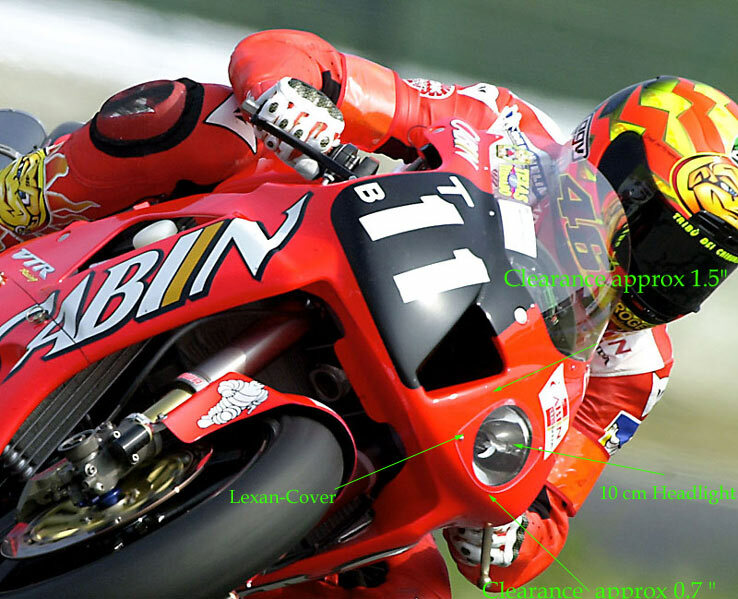 fairing,mixed with best features of HRC-Fairing,and,to round it up I've added some features too. 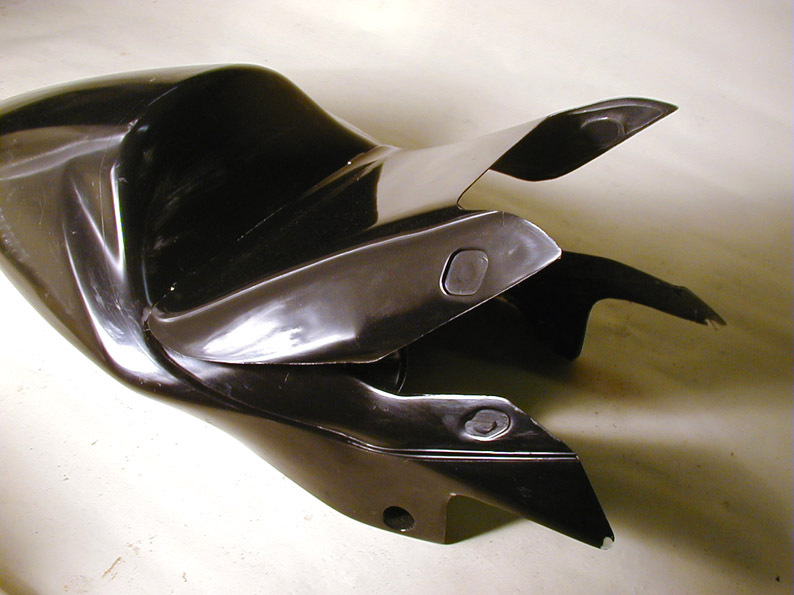 1.If you have a pure HRC Copy you've to cut out fairing for side-stand,cut the Intake to fit for std.Snorkel.The fairing is also not close against Frame l/r,and with very sharp borders. 2. A copy of std. 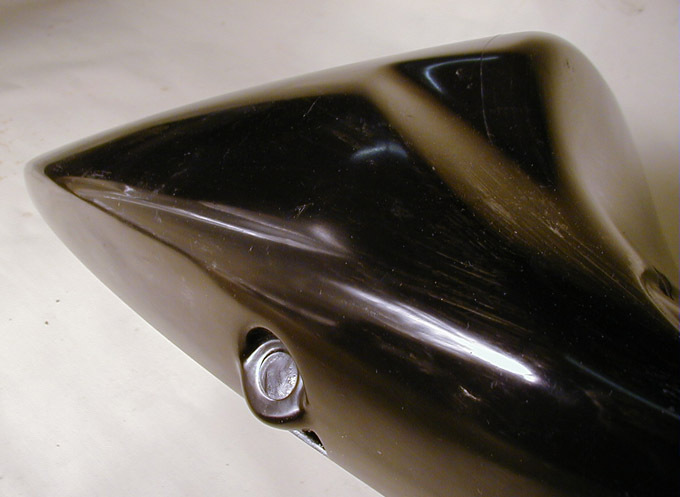 fairing hasn't got the better Aerodynamics of HRC-fairing (I.E. the Windshield is 4 cm longer),also the 90° angle which covers against Frame looks like shaped form a Box,that why i've somewhat 110°,looks much nicer. 3. have a look at this Pic,there you can see this inside shaped Border running from the front up to windshield.That's a harmonic shape i think,it neither exist on std. 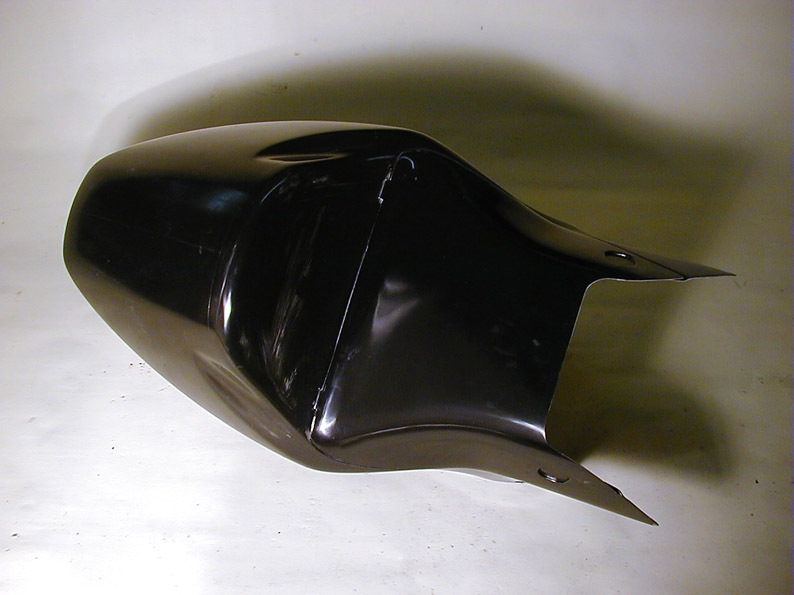 nor HRC Copy fairing. 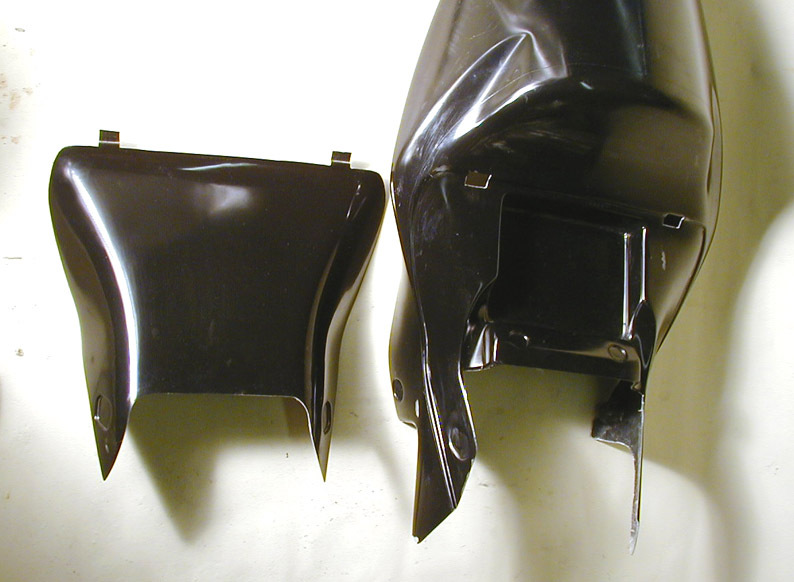 Thats a great option to get rid of weight-to get a permanent repairable fairing-to get rid of these horrible expensive std.headlights ! 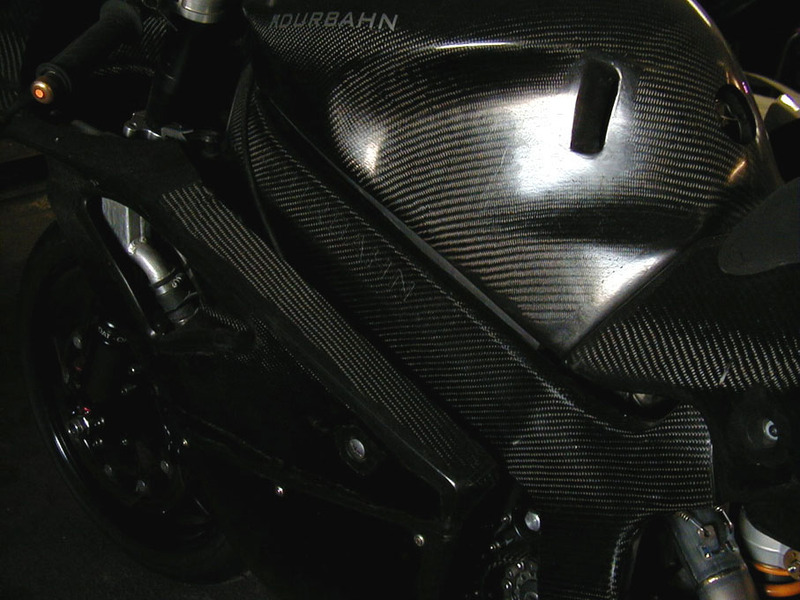 Delivery-Content "ROAD" : incl.Seatpad and #-Plate/Blinker/taillight Bracket(Glass),Carbon with Charge. 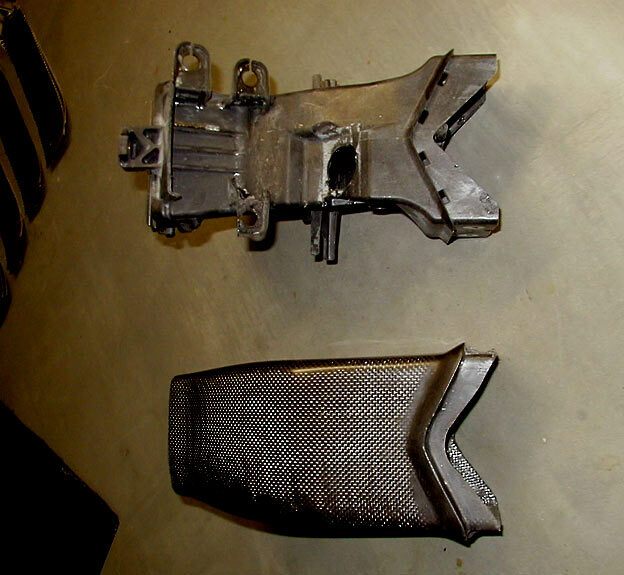 Also:Glass or Carbon/Kevlar Tailsection are both reinforced massiv by Carbon/Kevlar to mount the Hangers for the Cans,both made with Epoxy-Resin,and closed underside,it'll suit to a HRC or my Carbon-Subframe or std.Subframe ,if modified. 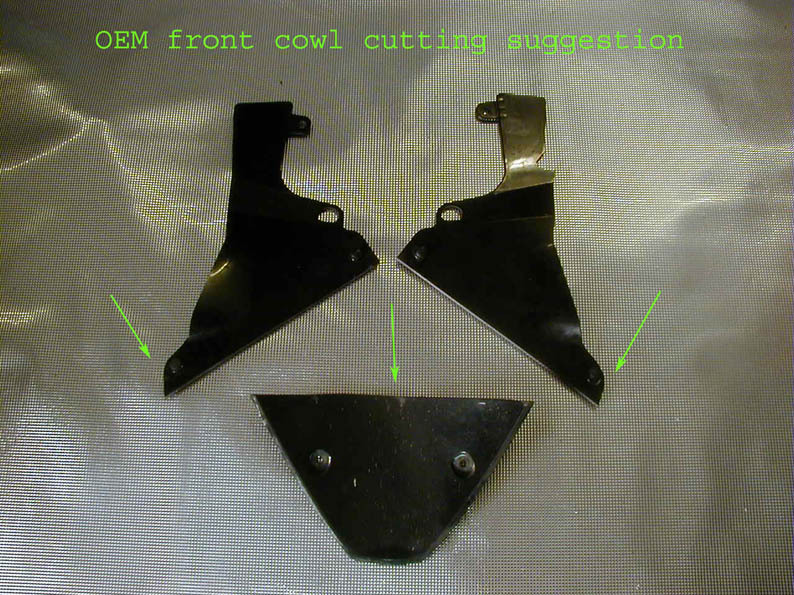 The OPEN underside Version will fit also to a modified stock Subframe,is NOT reinforced and WITHOUT #-Plate Bracket,but incl.Seatpad -and made by Epoxy-Resin too. 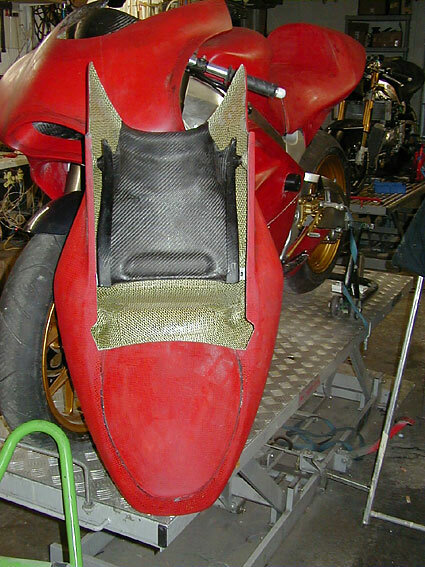 ......not to spread the Tailsection too much to get it on the Subframe: i'd recommend to relocate some of the Electronics incl Brackets more inside. 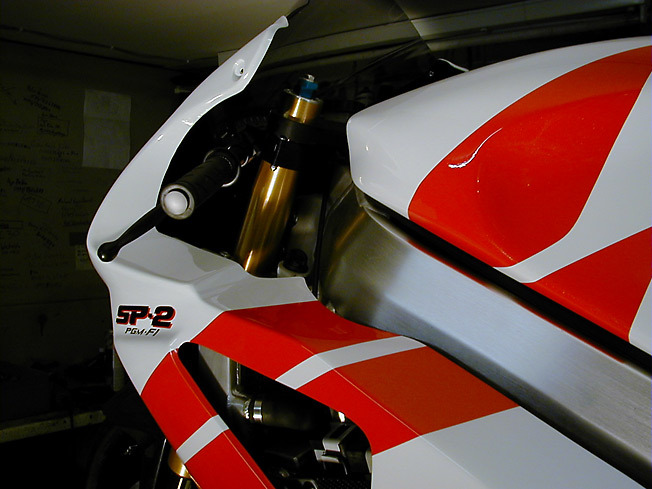 Factory-Tailsection , driven by Slight and Edwards in WSBK , a very special one . 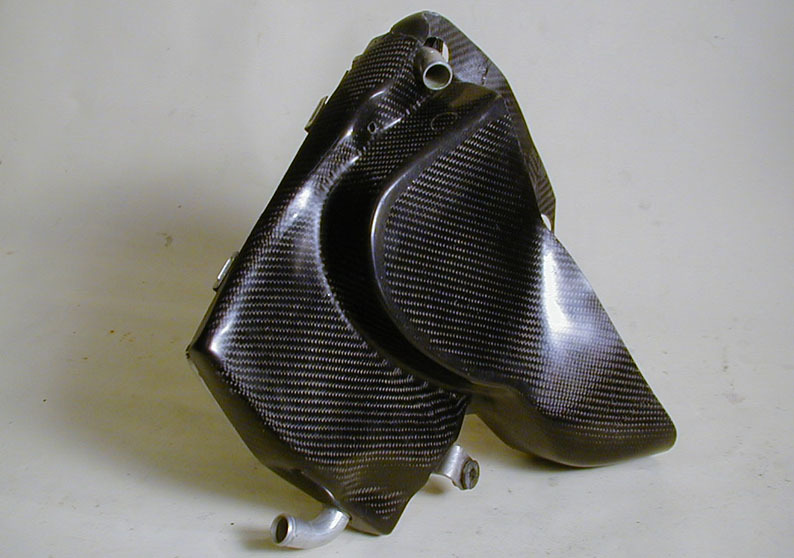 By fortune I got hold of such a HRC-factory tailsection , which has some very special design-features . 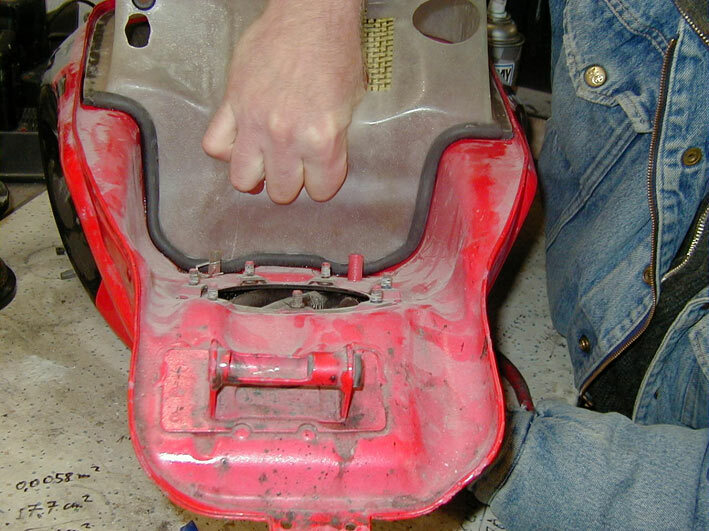 1st to mention of course, the seperated and quickly removable and exchangable seat, which allows to ride different ride-heights by fast swap of the seat only with Quick-connectors .Then: below this seat there's space to locate the ECU .Closed underside and addittional at the rear end left and right you've got mounting-spots at the Tailsection to attach the Can-hanger . And last but not least from the shape it's prepared to duct the headers as factory style left and right with enough clearance . 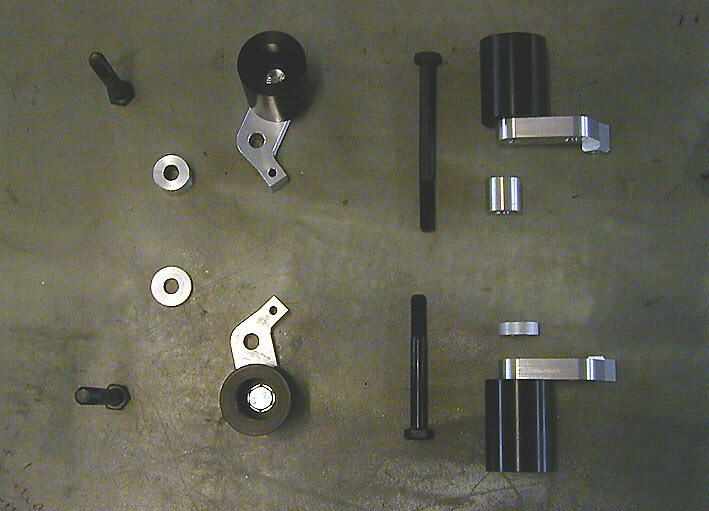 But-of course it is custom-work to make it matching to OEM subframe . Pictures from the first Prototype I made . 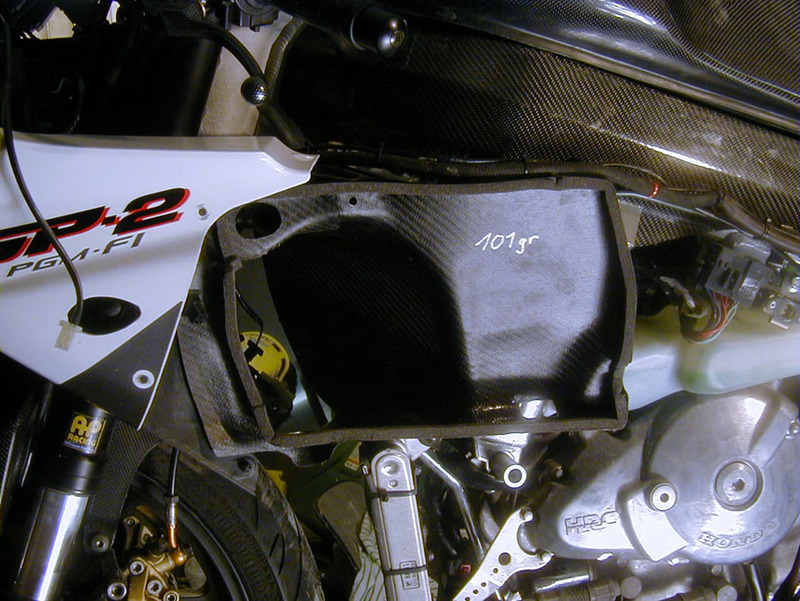 3.i can supply a Carbon display-bracket now for std.Dashboard! 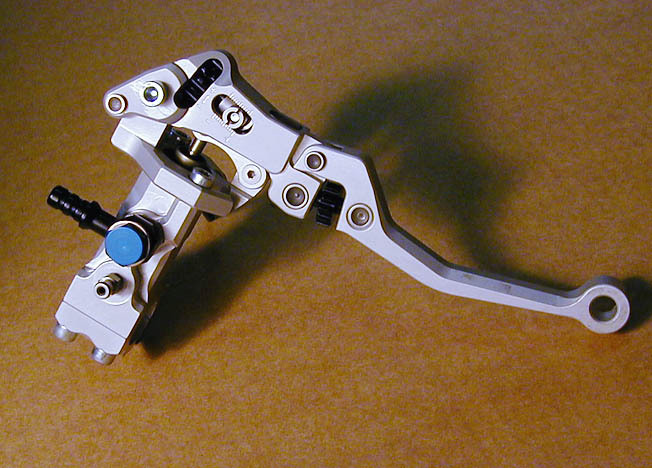 4.For straight milled lower triple clamps you may have a Problem to get it in,OEM no Prob. 8.. !!! 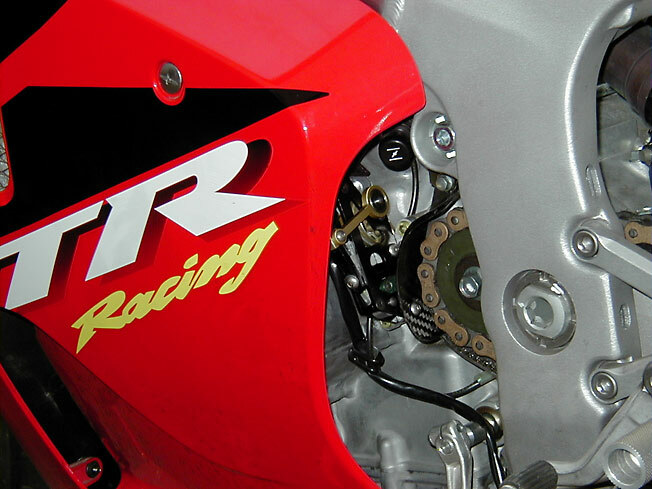 But if you use a round Rpm-Meter as HRC-forget # 3+6 +7 !! I know , lot of other companies are doing stuff like that , but I hate it to put Parts from others on my Bike which I could fab , so I made my own Framecovers . Not a big thing , as I've mentioned first Page , but available now . Time to mount them should be less then 2 Minutes , because the rear side is equipped with a2,5mm high-strenght self-adhesive stripes ,which easily can be removed , not this do-it-by-yourself silicone solution, where you will scratch your whole Frame once you try to remove it . And : Flexible ,no coat will get cracks at a slight ground contact , because it's made with high-end Epoxy resin and no massive gelcoating. And : light , 212 gr a pair (without the stripes.. ) . Version 1 suit's to my Tankdummy 1.23 lbs ! Version 2 suits to orig-Fueltank 1.16 lbs ! 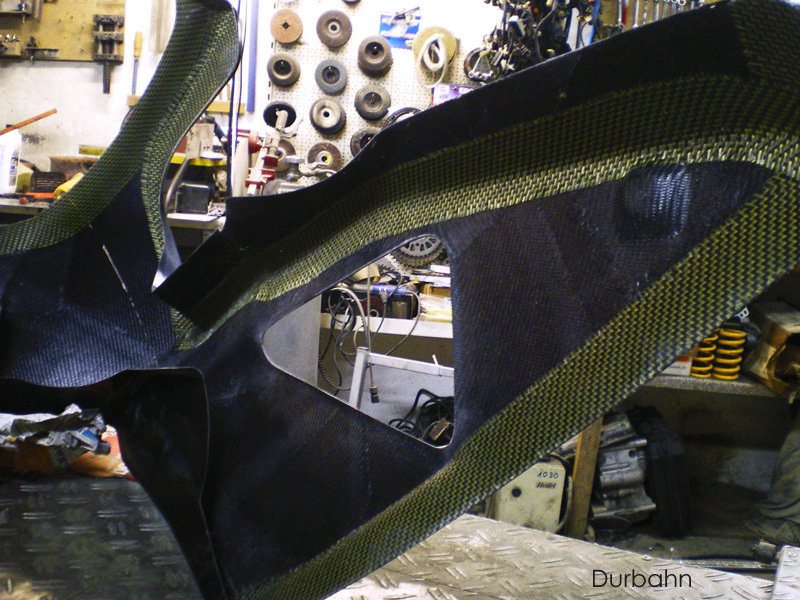 Click Picture,you'll see the tailsection from underside with mounted Subframe. Battery-Mod : No 1 of all recommendable Mods !!!!!!!!!!!!!! 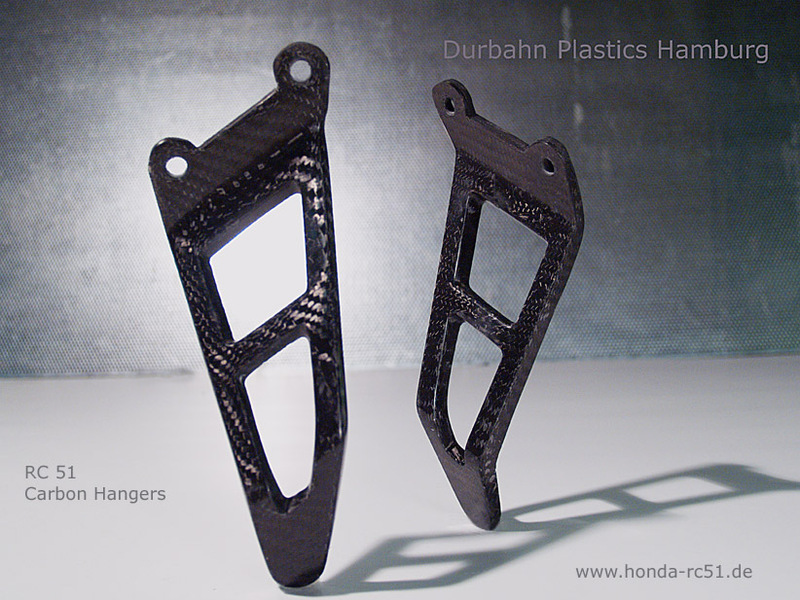 Now especially designed Carbon Battery Bracket available,with MAX.! lowerded Centre of Gravity. 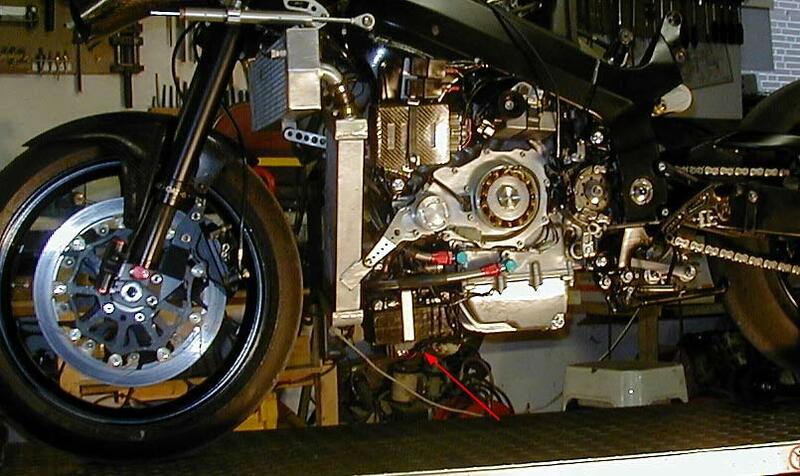 Effex of entering a corner ,raw estimated : as if you'd ride with 7 Liter Fuel less !! Delivery of course ready to mount including all bearings and sealings. 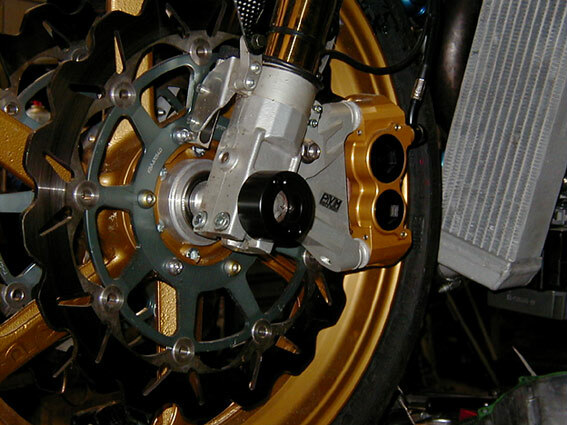 NOTE -IMPORTANT : it's -same as HRC -designed to fit with a lower shock "Eye" and not the "fork"-type as OEM . 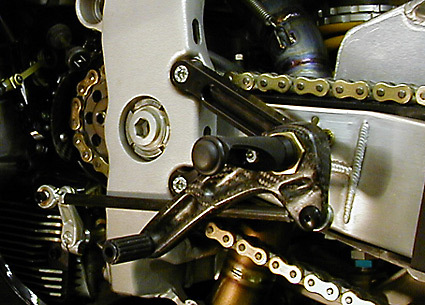 A Öhlins shock is easy to rebuilt,you simple can order the lower "Eye" from Ohlins,probably all the other aftermarket shocks are also able to rebuilt. 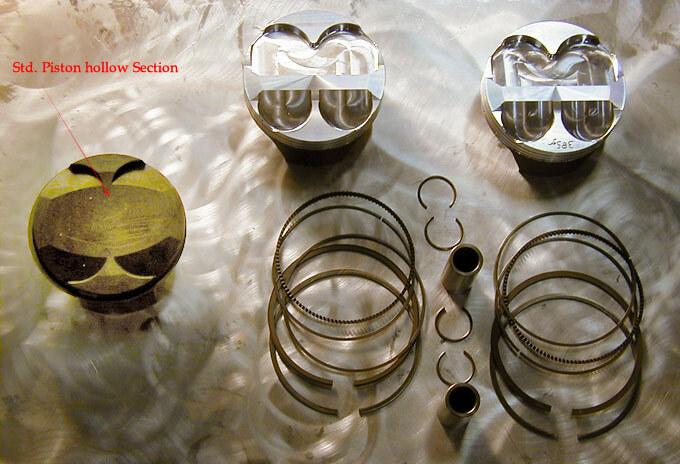 Turned Big breather gasket Alloy 22mm dia.-for front valve cover : 484 mm2 instad of 169 mm2 std. 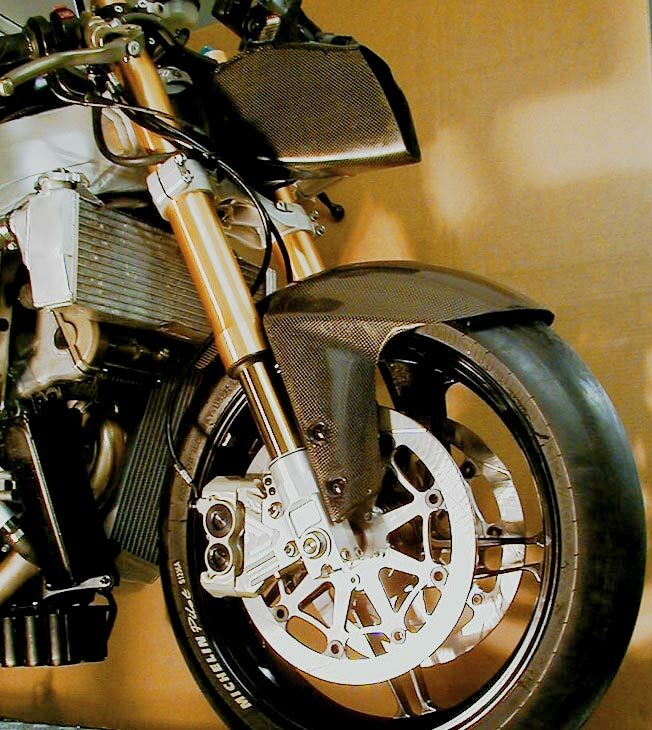 ....NEW: the "Y" Spoke Design Wheels !!! 5 Spoke forged and milled alloy wheels,bolt on , incl. 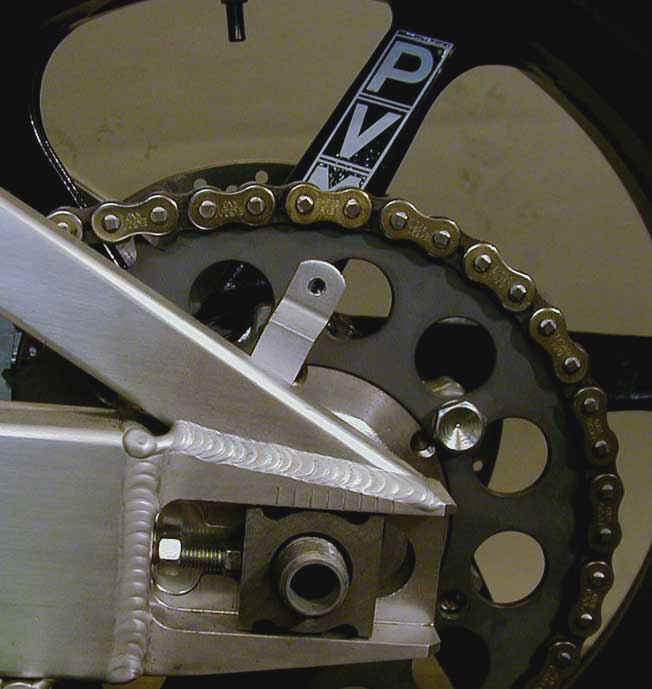 Sprocket carrier and brakedisc,optional "wave" ,and optional also you can go for a smaller Sprocket-carrier made from Magnesium,it's the lowest possible weight Solution!